26th August 1959. A key date in UK motoring history – the date when BMC (British Motor Corporation) unveiled a car to the UK press that truly captured the imagination of the car buying public and turned the compact car segment on its head. Born as a result of the fuel shortage caused by the 1956 Suez Crisis it was a supermini designed to turn heads and combat fuel rationing which saw sales of larger vehicles fall dramatically. Chief Designer, Alex Issigonis was tasked to combat the hugely successful Fiat 500 and design a “proper miniature car” in the words of Leonard Lord, the head of BMC at the time. He laid down a basic design requirement that the car should be no longer than 10 feet and of that, 6ft should be passenger accommodation. For cost reasons, Issigonis had to use an existing engine. The prototype was coded XC9003 and was known as “The Orange Box” due to its colour and on 19th July 1957 the car was approved for production and became known as project AD015. It used a conventional BMC A-Series four-cylinder, water-cooled engine, but in a masterstroke the design team mounted it transversely, lubricated the 4-speed transmission with the engine-oil from the vehicle and installed front-wheel drive. Almost all small front-wheel-drive cars developed since have used a similar configuration. The suspension system was also a technological triumph using space-saving compact rubber cones rather than conventional springs. With the 4 wheels positioned right at each corner of the chassis and these rigid rubber cones it gave the mini its characteristic ‘go-kart’ handling. 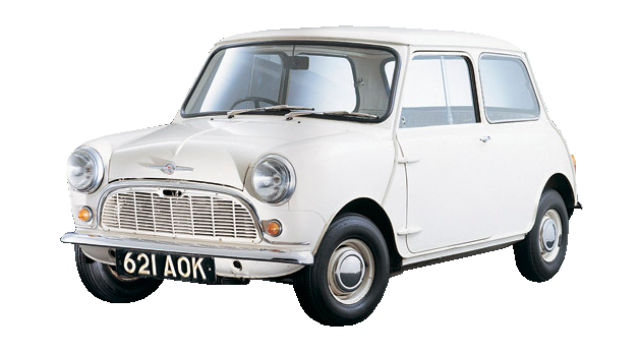 The Mini was officially announced to the public on 26 August 1959 by which time around 2,000 cars had already been sent abroad and were displayed that day simultaneously in nearly 100 countries. The very first example, a Morris Mini-Minor with the registration 621 AOK, is on display at the Heritage Motor Centre in Warwickshire and another early example from 1959 is on display at the National Motor Museum in Hampshire. 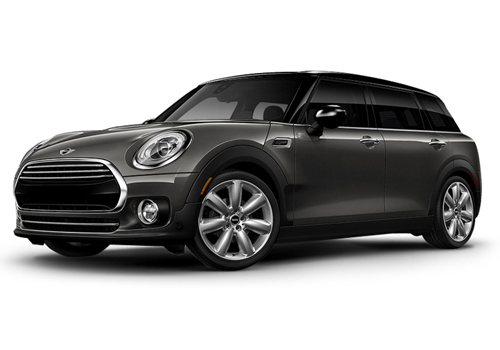 60 years later and the Mini has become one of the iconic models of UK motoring.